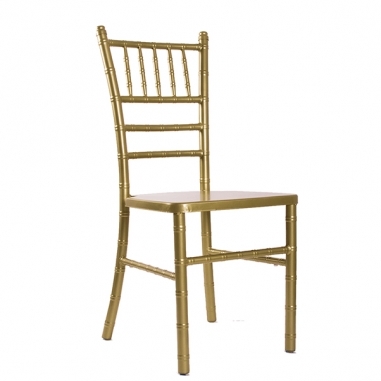 *Economical Chiavari Chair in all colors except Champagne and Gold. Buying 100 chairs or more. No cushions included. WEIGHT: 9.6 LBS HEIGHT. 36.2" LENGTH. 15.7" WIDTH. 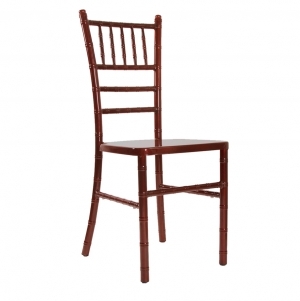 16"
Our essential Chiavari chair is made of steel. 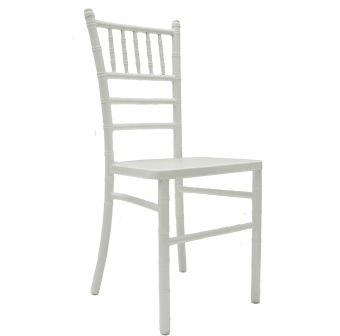 With this chair you get all the elegance look of the original Chiavari Chairs with all the benefits of its strong materials. WEIGHT: 9.8 lbs HEIGHT. 36.5" LENGTH. 15.2" WIDTH. 16"
Our Affordable Steel Chiavari chair is made of the highest quality steel. Our chair offers the perfect combination of durability, resistance and light weight, with a vinyl fixed seat. 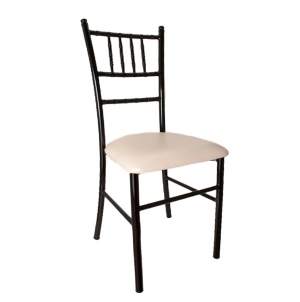 With the Affordable Chiavari Chair you will acquire the greatest stability and comfort at the best price. WEIGHT: 8.6 lbs HEIGHT. 36.2" LENGTH. 15" WIDTH. 15.2"
Be the first to receive news and offers from The Chairville. Subscribe to our newsletter!